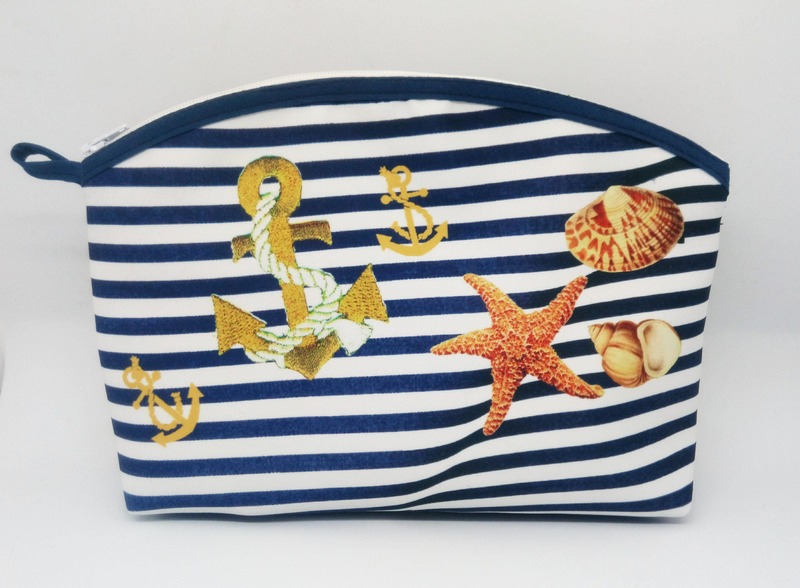 Kit pattern sea and shells murielm pouch sea, Duffle Bag, beach, Navy stripe, Provence craft workshop camargue Kit, sewing. The fabric is 100% polyester. It is fully lined with suede way Blue Suede fabric.